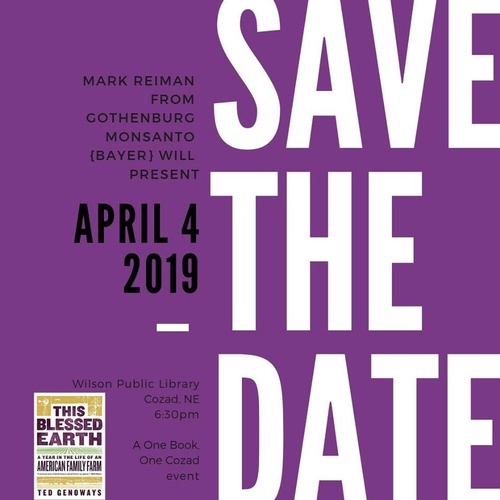 Save the Date with Mark Reiman, a Learning Center Agronomist from Gothenburg Monsanto (Bayer). He helped establish Monsanto's Water Utilization Learning Center in Gothenburg. He will speak about shaping the future of agriculture. The public is invited and the event is free!